The Project Proposals Corner is your gateway to information and advice on funding opportunities, open EU calls, Info-days and collaborative initiatives in digitisation and related fields. Do you need advice while drafting your project proposal? Do not hesitate to contact us through our helpdesk! Our team will provide IMPACT members with free of charge first-line assistance to help you address and solve your doubts (according to the type of IMPACT membership conditions, see more here). CORDIS, the Community Research and Development Information Service, is the EC’s primary public repository and portal to disseminate information on EU-funded research projects and their results. Its EU Research Partners Service is available for any topic and type of collaborative project. 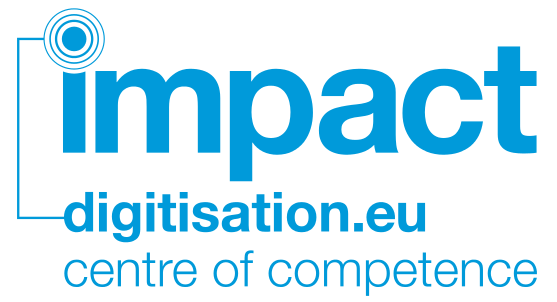 Ideal-ist, International ICT Network, is a project partly funded by the EU under the FP7 Cooperation Programme, ICT Theme. As a Network it currently gathers more than 65 ICT national partners from EU and non-EU countries, including Mediterranean Partner Countries and emerging countries like China, Brazil, India, and South Africa. Its Partner Search Service addresses ICT companies and research organisations worldwide wishing to find project partners for Horizon 2020 calls.